Susan and Michel’s homes. Blue Mountains, NSW, Australia. 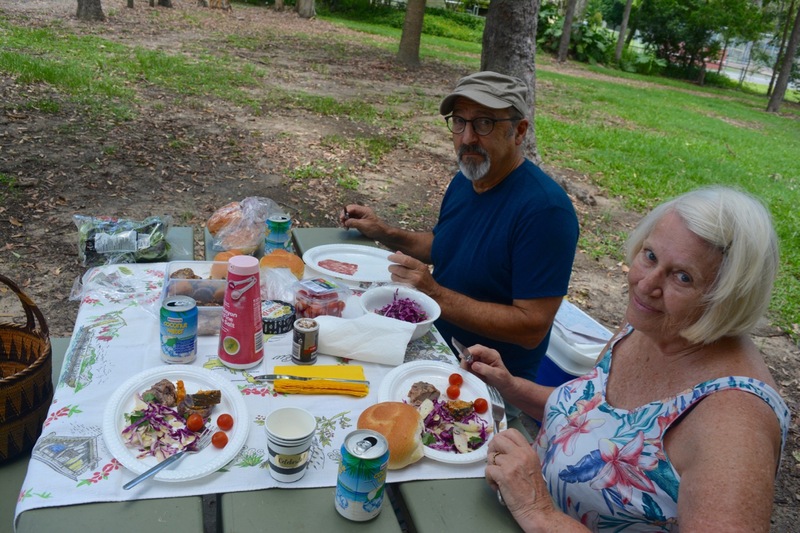 My friends Susan Cochrane and Michel Bonnefis are currently homeless, but not for long. They were here in Brisbane (Queensland, Australia) for a month house-sitting and visiting for Christmas. 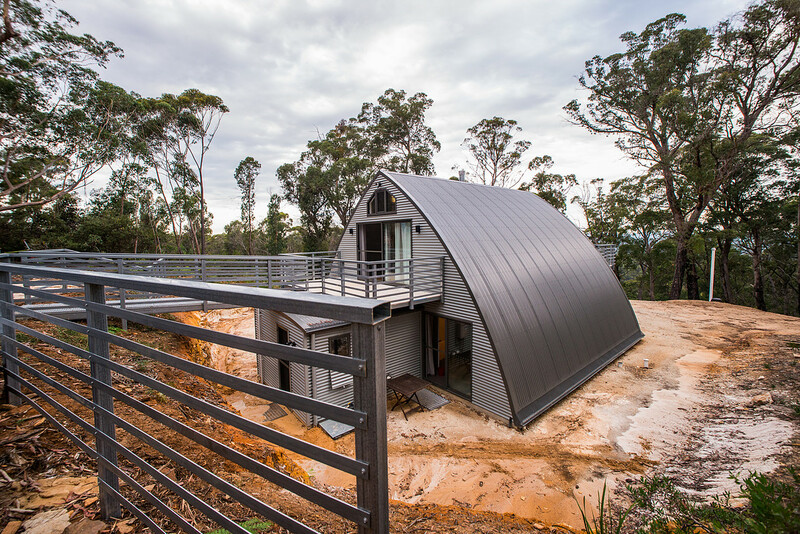 They are currently staying at a friend’s house while their new home is being built in the Blue Mountains, New South Wales, by designer and award winner Mark (the Hatter) O’Carrigan. 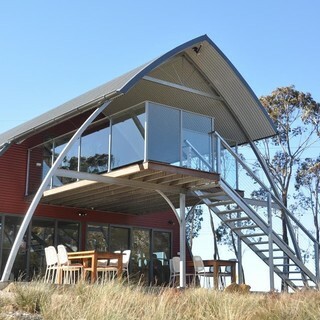 Once a hat designer, O’Carrigan currently designs these cool houses he calls Hatters Huts. The Hatters Huts homes, feature strong Gothic arches re-created from the basic idea of the Nissen huts. 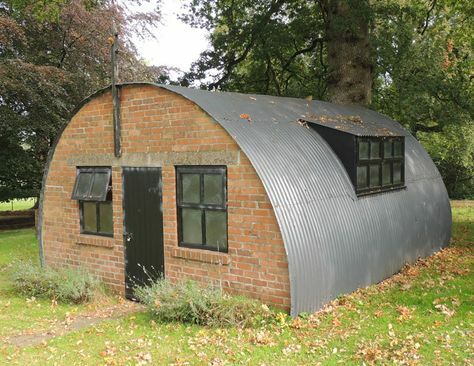 During the First World War Engineer and inventor Major Peter Norman Nissen designed these prefabricated steel structure for military use. They were made from a half-cylindrical skin of corrugated steel. The structures were extensively used during the Second World War. 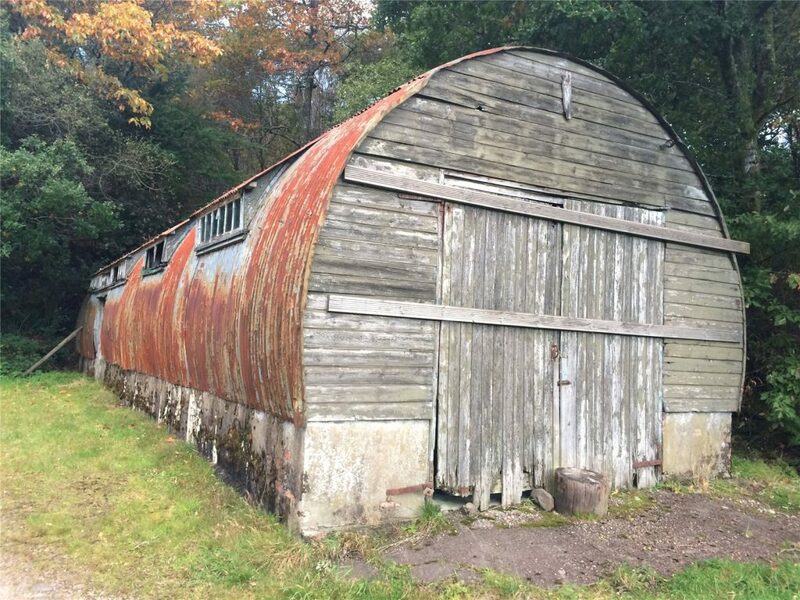 Here is one story about Nissen huts from the war. 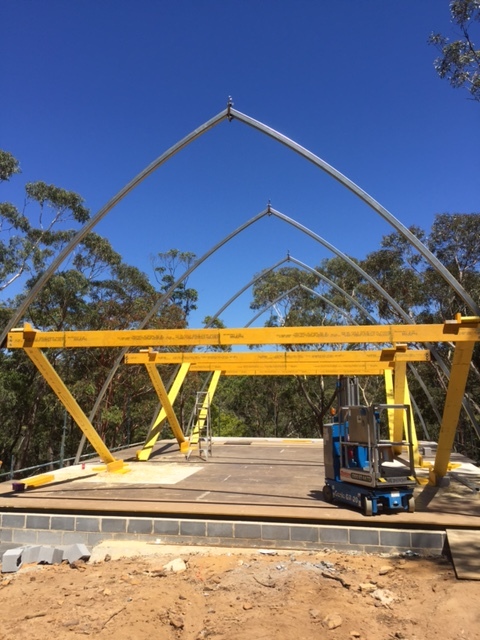 Australian O’Carrigan’s inspiration behind one of architecture’s greatest developments is the gothic arch, as seen in many famous cathedrals. The arches give these homes more space than what a typical Nissen house does. A Blue Mountain resident himself, O’Carrigan also believes that houses anywhere should be built to suit their local environment. Mark’s philosophy towards his unique buildings stems from his years of designing and making hats… ” A good home is like a good hat…it must be comfortable and stylish, sit lightly, protect you in all-weather, suit you and be affordable”, he said. 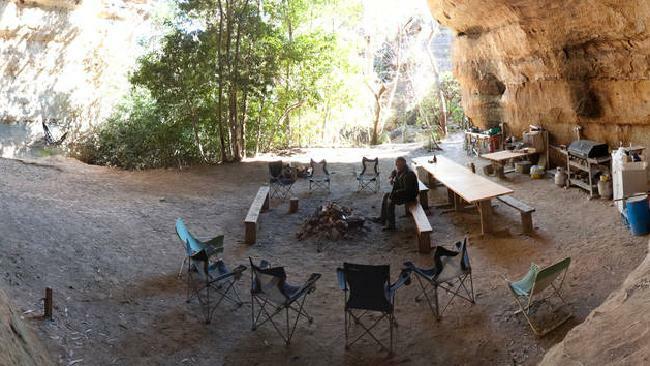 After earning a living as a leather craftsman for 25 years (specialising in hand crafted hats) and winning design awards for those creations, he has developed a unique ecological tourism business centred on a massive sandstone cave at Hatters Hideout. 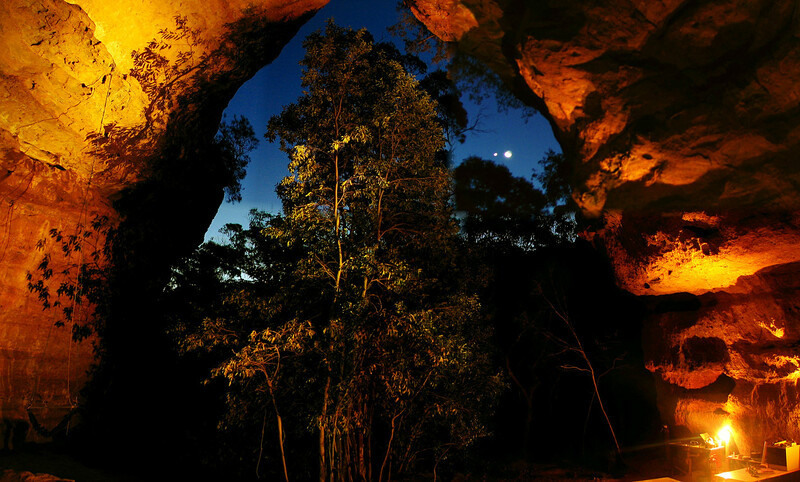 You can sleep in this cave a hand-built lodge and environmental retreat which is set 3.2ha of Blue Mountain’s land. It sleeps 12 people. Guests can choose between sleeping in the cave or in a lodge. There is a campfire, gas barbecue and camping gear. From: $245 per night. The Hatters Huts are also O’Carrigan’s business. Similar design Nissen home in Ireland. 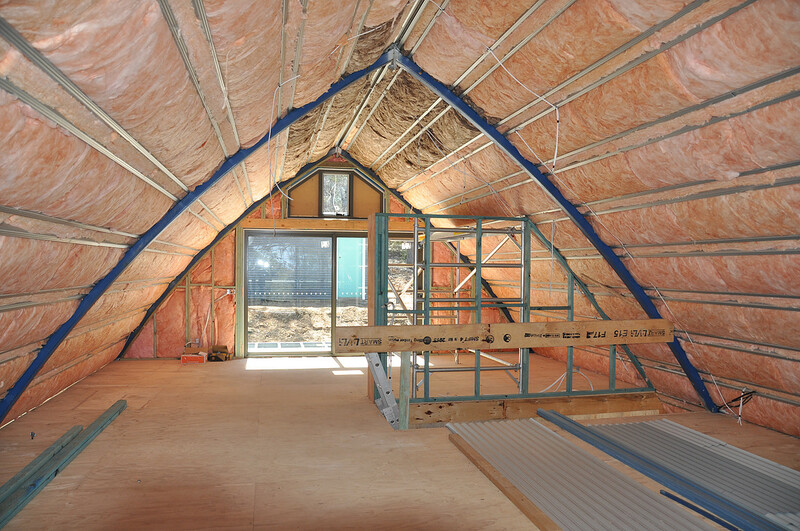 With a high demand in Australia, more architects and designers are creating strong and sturdy energy conserving homes that can also insulate for the country’s wild bushfires. When the construction of their home is completed, Michel, a French national, a joiner and craftsman and Susan, an Australian author and arts curator will design and complete the inside of their ‘hut’. Susan and Michel’s house is expected to be completed in a couple of months. I will bring you more pictures. Thank you! How are you? Happy New Year and best wishes for 2018. I haven’t forgotten the catalogues. Can I email them to you?